Two journalists talked about their books and an exploration of “the hidden conversation on race” taking place in the country. They also responded to questions from members of the audience. Professor Goldstone moderated. 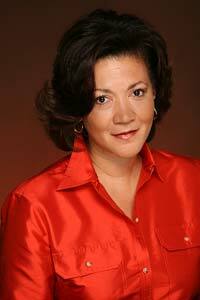 Michele Norris is the author of The Grace of Silence: A Memoir. Isabel Wilkerson is the author of The Warmth of Other Suns: The Epic Story of America’s Great Migration. Dwonna Naomi Goldstone is the author of Integrating the Forty Acres: The Fifty-Year Struggle for Racial Equality at the University of Texas. 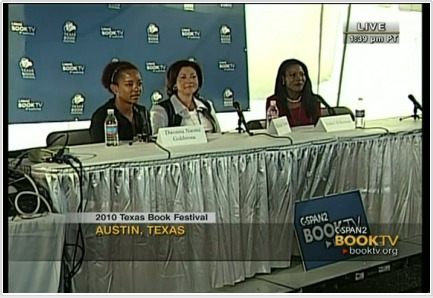 The program “Michele Norris in Conversation with Isabel Wilkerson” was held in the C-SPAN/Book TV Tent of the Texas Book Festival. The program opens and closes with scenes from the festival.